Kansas Secretary of State Kris Kobach addressed members and guests of the Wichita Pachyderm Club on Friday June 9, 2017, the day after he announced his candidacy for Kansas Governor in 2018. Video of this event is on YouTube here. Kris Kobach’s gubernatorial campaign heralding conservative policy options for Kansas arrived at the Wichita Pachyderm Club luncheon June 9. Speaking to a packed house of Pachyderm Club members and guests, Kobach wasted little time in blasting the tax and spend climate at the Kansas statehouse that resulted in the largest tax hike in Kansas history, a $1.2 billion income tax hike that was approved this week over Governor Brownback’s veto. The Kansas Secretary of State since 2010, Kobach began criticizing the “climate of corruption,” at the Kansas statehouse. He criticized Democrat legislative leader Senator Anthony Hensley who has been in the legislature, “since the Ford administration,” when Kobach was eight years old at that time, and today Kobach is 51 years old. Kobach said many of the legislators are well past their, “sell by date,” and used this example from the last century to call for term limits on all statewide elected officials as well as legislative term limits. “We had an obscene tax increase,” Kobach said in criticizing the legislators who overrode Governor Brownback’s veto and approved a $1.2 billion tax hike. “Kansas does not have a revenue problem, Kansas has a spending problem.” Kobach repeatedly blasted tax and spending expansion advocates from both Republican and Democrat legislators override the gubernatorial veto. “It’s so easy when spending other peoples’ money,” Kobach said. Besides ending the culture of corruption and the tax battle, Kobach’s third point in his campaign platform plank included immigration and ending benefits for illegal immigration, including the in-state tuition that treats out of state U.S. citizens worse than illegal immigrants who have broken U.S. law. He also wants to end “sanctuary cities/counties,” that have been adopted by some local governments in Kansas. Kobach called for making Kansas number one for pro-life issues and praise the legislation enacted relating to abortion since 2011. A sportsman and outdoorsman, Kobach praised the excellent pro-2nd Amendment ranking Kansas has achieved but expressed a desire, if elected, to make Kansas number one in rankings related to pro-life, 2nd amendment, and fiscal issues. The Secretary of State has just finished their ninth conviction for voter fraud and done this while his office budget has been reduced by 18 percent. Personnel costs were the major area for generating savings in the Kansas Secretary of State’s office according to Kobach. He said this was achieved by eliminating positions due to retirement or job changes, and not by any layoffs. Kobach wants to take this personnel policy and apply it as governor. When Kobach was asked about his support for initiative and referendum for state issues, he said that while he was personally supporting this, he doubted that this could get through the legislature. He did commit to demanding that the legislature cut back benefits for illegal immigrants, and would force the legislature into acting if he is elected. This could generate significant savings in state spending. Kobach criticized Kansas for being behind our neighboring states since Kansas spends $424 million in benefits paid for illegal immigrants. This is a net figure, that includes the $18 m paid in mostly sales taxes, paid by illegals Kobach said. 71% of illegal household receive public benefits. In continuing his criticism of the legislature, and particularly long serving legislative leaders, Kobach called for a restriction on legislators leaving public office and immediately becoming lobbyists for their former colleagues. This is commonplace at the Kansas statehouse. Kobach wants a ban that would last several years. Kobach expressed strong support for school choice. He said that competition is good and wanted to provide parents and students with the ability to choose the best schools that would meet their educational needs. The success of the effort to lower income taxes in Kansas was seen by the expansion in corporate filings that demonstrate new business formation while he has been in office. Annual filings have grown to 15,000 a year, an increase of about 35 percent since 2012, the first year that this information was tracked by the secretary of state’s office. Former Sedgwick County Republican Party chairman Bob Dool introduced Kobach at this event. Dool cited Kobach’s Kansas ties in returning to Kansas after earning degrees at Harvard; Oxford, England; and a law degree from Yale University. Kobach had also worked as a White House fellow for George W. Bush and went on to join the U.S. Justice Department where he was serving during and after the 9-11-2001 Islamic terrorist attacks. Dool will serve as the treasurer for Kobach campaign. Kobach is married with five children and has served on the Overland Park city council. 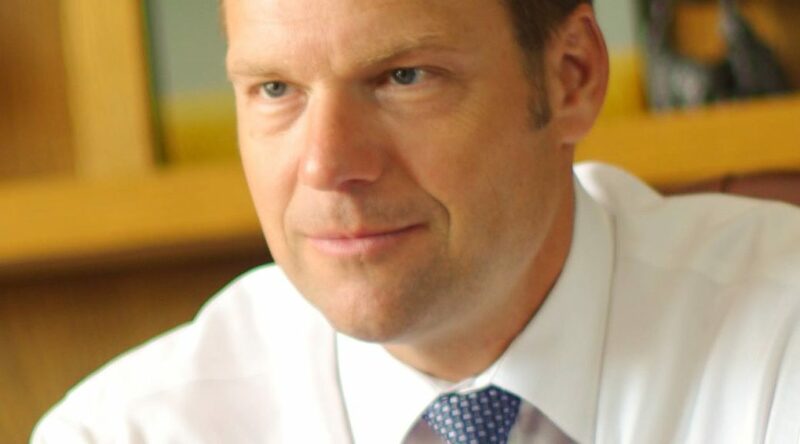 Recently, President Trump appointed Kobach to help lead a federal panel to look at problems with our voting system, reduce voter fraud, and improve our elections. Kobach has become the second announced gubernatorial candidate after Wichita businessman Wink Hartman who was the first Republican to announce his candidacy recently. Governor Sam Brownback is term limited and cannot run for re-election. While the self-described, “moderates,” do not have a GOP gubernatorial candidate in this contest as of today, it is clear that at least two conservatives, and possibly more, are going to enter the Kansas gubernatorial primary for the GOP nomination.